Confetti Prosthetic Leg Cover by ID ETHNOS. I recently published a short overview over various companies producing prosthetic covers (you find the full article here), pointing out how the recent developments in 3D printing allow people with amputations to express their individual style through by choosing the look of their artificial limbs. I then ran an interview with McCauley Wanner from the ALLELES design studio in Victoria/Canada (you find the full interview here). 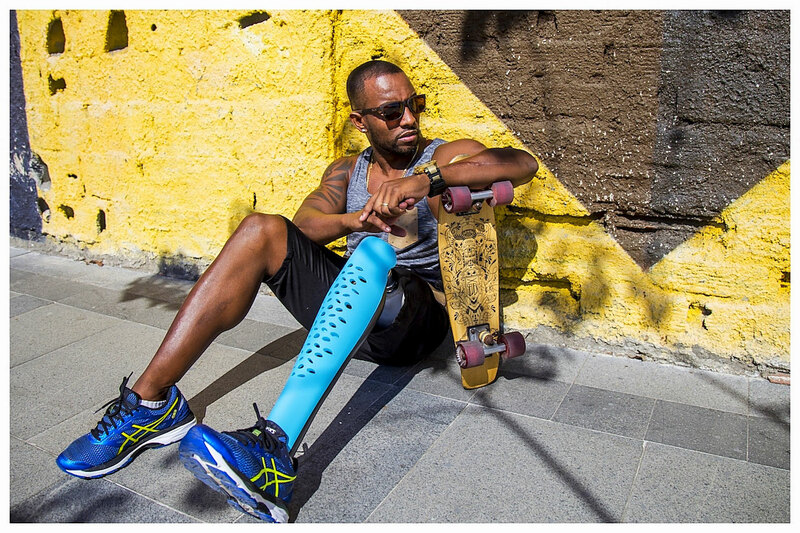 This mini series about prosthetic covers is continuing today with a post by the Brazilian company ID Ethnos. Confetti is the world's first mass-produced colourful and adaptable prosthetic leg cover for above-the-knee amputees. Its purpose is both functional but even more so emotional as it assists the amputee's rehabilitation process through boosting his or her self-esteem. And all this while being very affordable. Generally speaking, amputees lose the shape and volume of their leg. All that remains is a socket for the residual limb, the prosthetic knee and a metallic tube to which the prosthetic foot is attached. Due to the lack of volume, a prosthesis is noticeable even when wearing long trousers. Amputees have different ways of dealing with this. Many find it embarrassing. They know that they are often stared at, they feel the pity in the eyes of the people around them, they feel being treated in a condescending way. Therefore many amputees tend to hide their amputation. Some withdraw from day to day activities and are at risk of being excluded from society. Others develop emotional problems and need additional assistance for their psycho-social wellbeing. And while there are several factors that influence the way individuals with amputation are viewed by society, often the most difficult perceptions to deal with it one’s own. Common solutions to deal with the loss of volume and shape and handle the appearance of a prosthesis have several draw-backs: They are aesthetically uninteresting (i.e. imitating the skin), they tend to compromise the prosthesis' functionality and they are unaffordable for many of the world‘s amputees. While developments like 3D printing are great for tailor-made covers, this new technology is costly and beyond the financial means of many amputees. With this in mind, we from ID ETHNOS developed our prosthetic cover in collaboration with our partners from FURF Design Studio.The ultimate goal of the Confetti project was to give back the shape of the leg and to help raise the self-esteem of people with amputations. And we aimed to do so with a joyful product - vibrant bold colours - and through a democratic democratic process - affordability. Instead of being ashamed of their amputation, people will be empowered. Instead of hiding their prosthesis, people will use it to make a statement, express themselves, show who they truly are and do it with pride. „This project could be the democratisation of self-esteem for amputees“, so we hoped. Most of the existing prosthetic leg covers available in third world countries are usually imported and expensive. However, there are hundreds of thousands of amputees in countries similar to Brazil. A huge opportunity for both national and international industries and cultures. While the majority of these products are tailor-made to fit only one individual, the Confetti fits almost all amputees - just like a stylish pair of glasses or a medium-sized shirt. During the development phase, several users tested various prototypes. Their feedback was used to optimise the product‘ qualities until we decided on the final version of the cover. The Confetti is mass-produced in polyurethane. This makes the process extremely cost-effective and keeps the product affordable. It makes the cover durable and gives it a smooth texture providing a pleasant touch. And it makes it adaptable. Following a few simple guidelines, the cover can easily be adjusted to the amputee's height. It is designed to fit the great majority of prosthetic knees and feet combinations. A highly intuitive magnetic system clips the cover to the prosthetic tube and two hidden corkscrews guarantee a firm lock, extremely simple to dress and undress. The Confetti is up to 80% cheaper than comparable covers. On its way to becoming an international symbol of joy and social equality, the Confetti is inexpensive, colourful and democratic. The confetti-shaped holes can be used for customisation (tie in laces, attach elements and even paint) and allows endless possibilities for self-expression. Other options will be released soon. ID Ethnos offers a rainbow of colours to chose from. The design encourages the user to interchange parts of the cover to fit the user‘s activity and personal taste (for example: a lot of users are already combining two different colours to match their favourite football team). 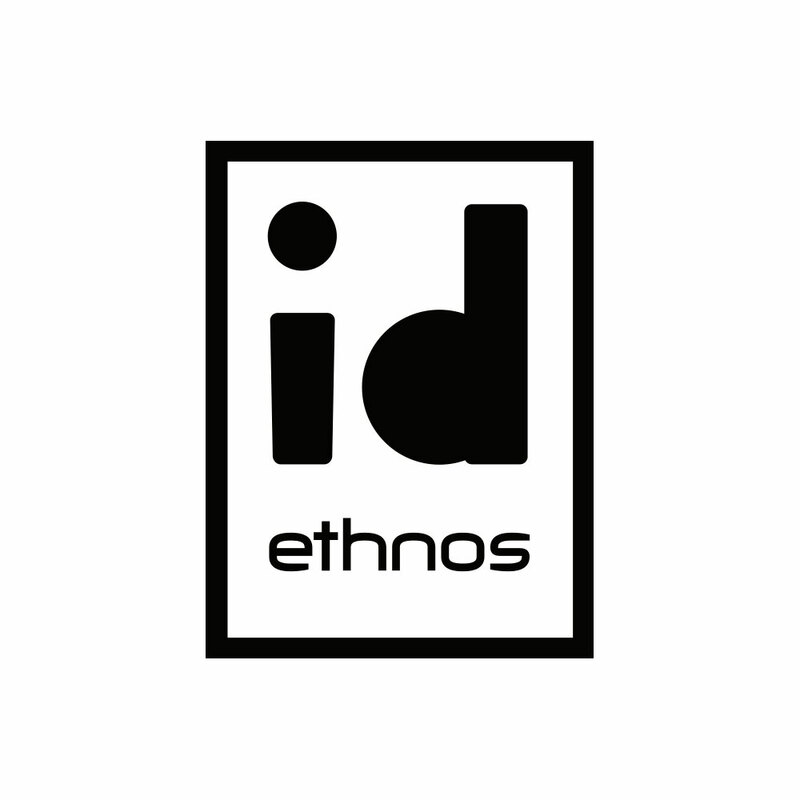 For more information, please access Instagram @idethnos or have a look at the homepage from ID Ethnos. Guest post by Fernando Costa Jr. Fernando is the CEO of ID Ethnos.